Advan is at the top of its game. Just how does Advan create a flow-formed wheel with properties equal to much more expensive forged wheels? To start with, years of research and proprietary manufacturing processes and metallurgy have melded with the latest 3d design methods to ensure you are getting the maximum strength, stiffness and lightness. All these features shine in the Advan RS2 wheels for the Alfa Romeo 4C. 2. Lightweight— You notice it at every turn of the wheel and over surface irregularities. The general assumption is forging allows the use of less metal because of its higher yield and tensile strength. But in reality, no matter how great the material strength is there is a limit to weight reduction in relation to wheel strength. Advan’s key to the weight savings is down to the design of the wheel in critical areas. Using mapping from a library of thousands of wheel designs, Advan has been able to create equal and often better weight savings when compared to forged construction wheels. To date the RS2’s are the lightest wheelset available for the Alfa Romeo 4C. 3. Advanced Processing— Sounds more like a computer term than a wheel term, but Advan employs two technologies to make sure strength and lightness are not mutually exclusive terms. First is the Durville die casting process. Molten aluminum alloy is injected into the mold from inside the wheel facing and then the alloy is rapidly quenched. During this quenching a finer metallic structure is created. This greatly enhances the tensile strength, yield strength and elongation of the aluminum and allows it to be very similar to forged aluminum. Second is the MAT process, in which the wheel rim area is spun and rolled with a mandrel. This creates “metal flow” in the metal structure of the aluminum alloy and makes it similar to the flow properties seen in the forging process. This hybrid process of casting and forging gives the RS2 wheel high material strength while keeping manufacturing costs down. 5. Secret Sauce— Yes, we just wrote that. Advan has some other tricks up its sleeve that are industry secrets. Suffice to say, being part of one of Japan’s, and the World’s biggest wheel makers has some advantages. A massive design database and computer aided engineering 3D simulation ability ensures that Advan is always on the forefront of modern wheel design when it comes to combining strength with lightweight. So all of this adds up to a lot of reasons why Advan’s Flow Forming is not only much better than the competitors, but also puts their flow-cast wheels on par with Forged Wheel construction. Next time you’re shopping a set of wheels, be sure and read up on the processes that go into making them so you know you are getting the right wheel for your needs. 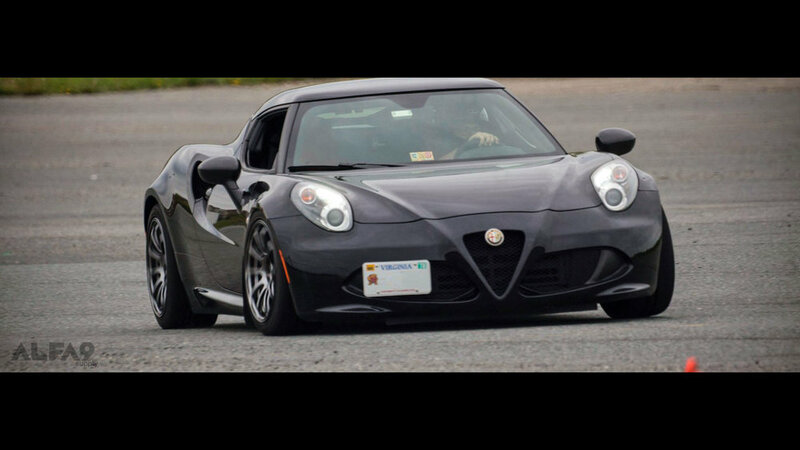 Alfa9 Supply is an official ADVAN dealer and specializes in Alfa Romeo fitments for your 4C Coupe or Spider. Any questions regarding Advan’s or our broad line of other wheels for Alfa Romeo’s please ask. Alfa Romeo 4C brakes made by Tarox.